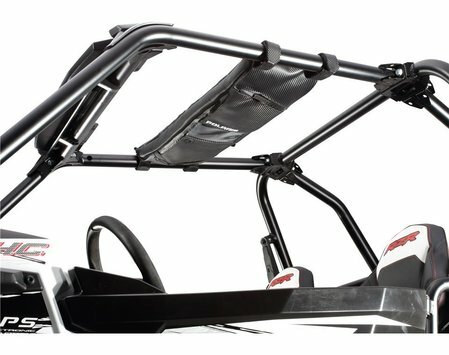 Plan for longer rides on your Polaris® RZR® and bring additional cargo with this overhead storage bag. 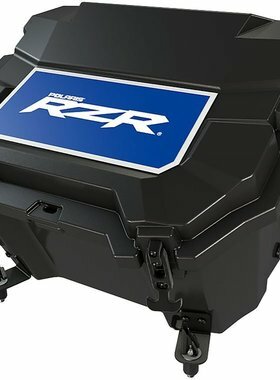 The bag installs above the riders on the RZR® cab frame in a designated mounting position using Polaris® exclusive Lock & Ride® technology and Velcro® straps. 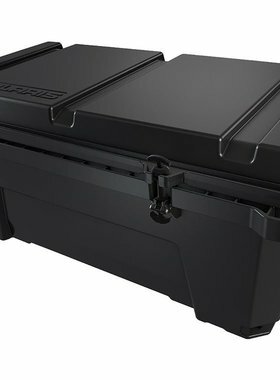 The four zippered cargo areas have dust flaps that keep your belongings dry and clean. There is a special storage space for your cellphone with a clear cover window and opening to string your headphones or power cord through. 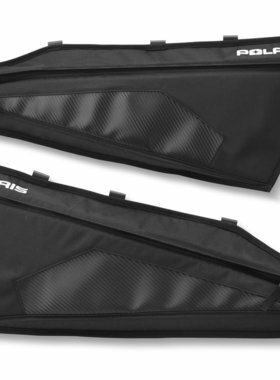 Strong, high quality zippers secure your items inside the bag. This stylish and convenient bag is perfect for storing goggles, electronics devices, tools, snacks and more. 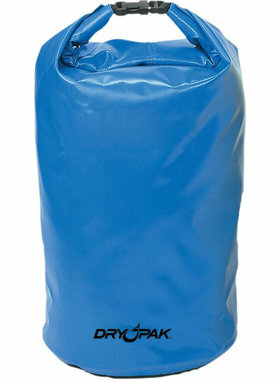 The storage bag is reinforced with rods to keep constant tension and shape. 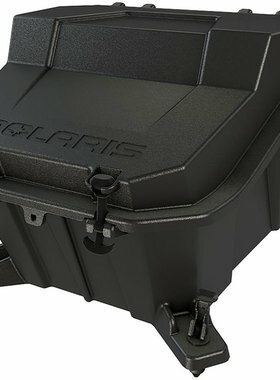 This versatile store bag will give extra style to your RZR® with its polyester textured material, smoky charcoal coal and white embroidered Polaris® branding. Color: Black.